Benchmark was contracted to provide complete Project Management Services for the Esperance Townsite Foreshore Master Plan. The plan required the development to focus on a range of nodes including tourism, heritage, cultural and retail and to address the triple bottom line outcomes of social, economic and environmental benefits. The objective of this project was to enhance the significant tourist asset of the Esperance Townsite Foreshore, from the Port through to the Castletown Quays area and to provide options for the establishment of the Kepa Kurl Discovery Centre, the refurbishment of the heritage Tanker Jetty, the creation and strengthening of links with the Esperance CBD and the potential of creating a marina adjacent the existing yacht club. The project also entailed the protection of the beach and foreshore area from erosion and wind. The work included detailed analysis of all issues, development of opportunities and constraints matrices, identification of costs and funding opportunities and creation of an implementation framework. Elements addressed included land use, preliminary design guidelines, coastal engineering, traffic studies, road realignments, landscaping options and marina design. Significant community consultation was undertaken through individual stakeholder interviews, public workshops and advertising. Separate in-depth consultation with local indigenous groups was also required. Benchmark was required to work with a range of stakeholders including a Steering Committee comprising the Shire of Esperance, the Esperance Port Authority, Goldfields Esperance Development Commission. Separate in-depth consultation with local indigenous groups was also required. The final Master Plan report was delivered to the Steering Committee in June 2005 and presented several innovative solutions to the various objectives. 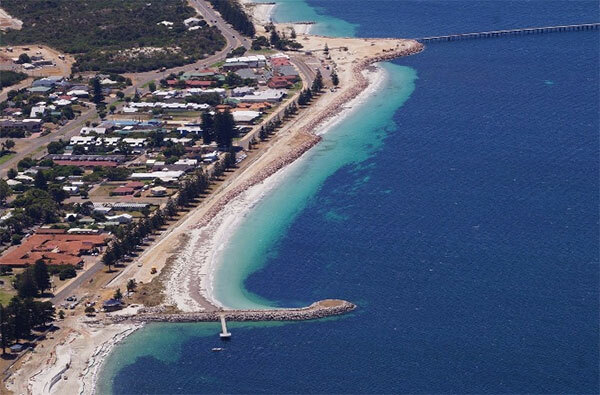 The Esperance Townsite Foreshore Master Plan project was overseen by a Steering Committee comprising the Shire of Esperance, the Esperance Port Authority, Goldfields Esperance Development Commission and several other stakeholders.